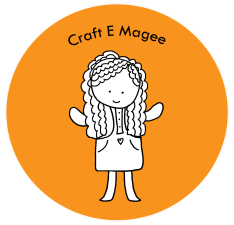 While I was looking around for some Independence Day craft inspiration, I stumbled upon this project by Random Thoughts of A Super Mom. I loved the tin can windsocks she created and decided that I had to make one of my own. 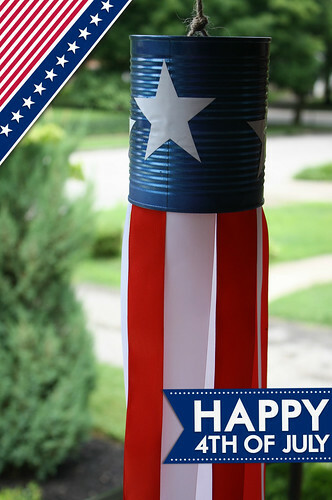 This project is easy to do with the kids and makes a really nice decoration for 4th of July celebrations. First, remove the label and clean the tin can. Next, go to a well-ventilated area and spray paint the can blue. Next cut the stars out of the white contact paper (I traced a star pattern that I printed from the computer). 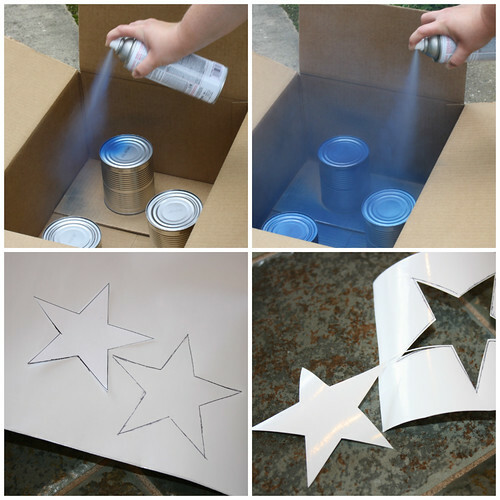 You can attach the stars to the can while the blue paint is still tacky, or if you stick the stars on the can once the paint is dry, you can coat the can in mod podge glue (glossy finish) to secure them. 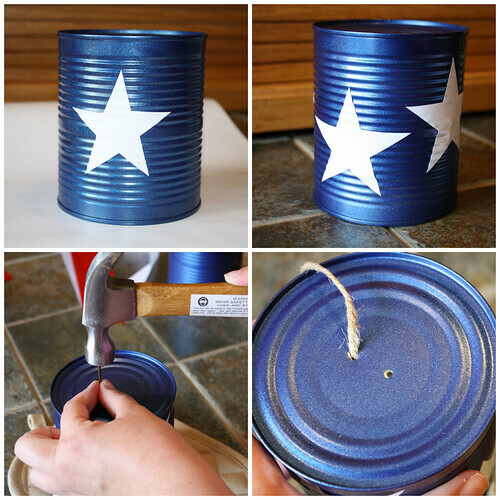 Once the stars are attached to the can and it is all dry, hammer two holes in the bottom of the can with a nail. 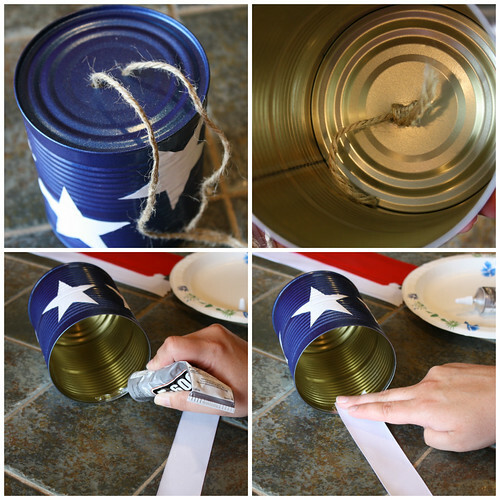 Insert the ends of the string into the holes in the bottom of the can and tie a knot in the string inside the can. The next step is to cut 8 pieces of ribbon (4 red and 4 white pieces) that are around 23 inches long. 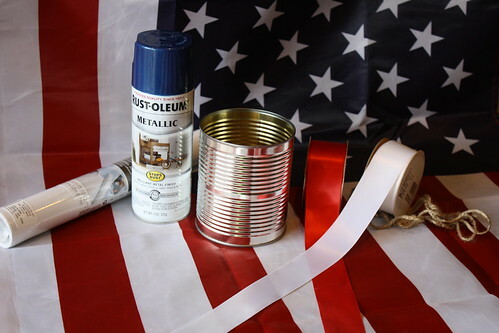 Using a glue that can stand up to being outside in the heat or sun (like E6000), attach the ribbons around the inside of the can. 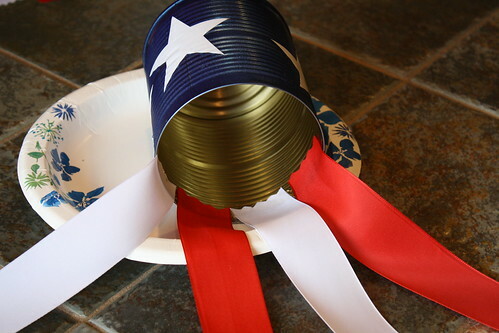 You will use 8 ribbons, alternating red and white around the inside of the can. Once the windsock is completely dry, you can hang the decoration up, inside or outside! 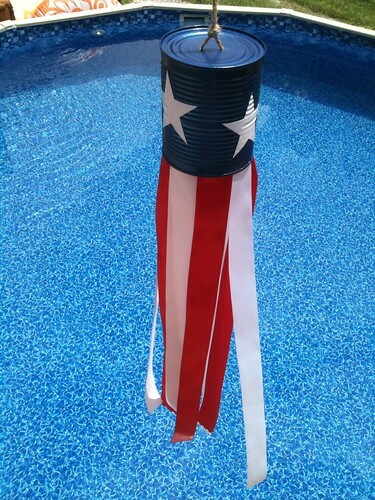 Whether you are decorating your dining room for dinner or your backyard for a barbecue, these windsocks will add the perfect amount of Holiday flair to your 4th of July party! 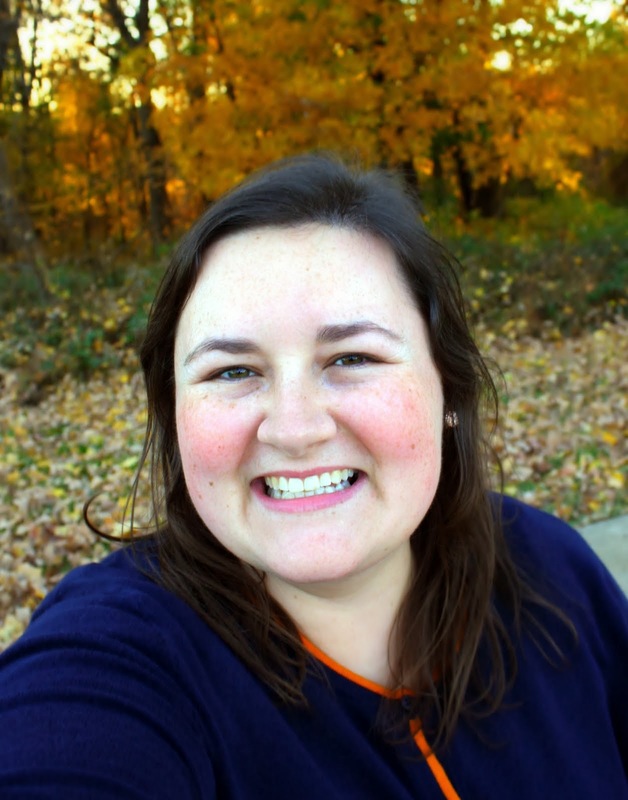 You can check out Julee's 4th of July project over on D.I.Y. Louisville too! Happy 4th of July!